Are you a Starbucks fan? Save yourself a few dollars and learn how to make this easy Thai iced coffee at home. Iced coffee drinks are all the rage this summer. It’s been hot and an icy coffee drink cools things down on a steamy afternoon. What I love about creating cold coffee beverages at home is that I can choose my coffee beans. Then I add in my creamers and sweeteners of choice. Become your own barista with this easy iced coffee recipe. And keep your change in your pocket! 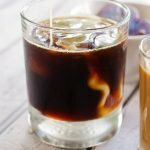 I love creating copycat recipes at home and this iced thai coffee is so easy to make. Everyone has a preference – some like their coffee brewed strong. Others, not so much. That’s what’s so great about brewing your own coffee at home. You can choose your own favorite blend or brand of brew. Thai iced coffee originated during the mid 20th century when there were limitations on the availability of fresh milk. Evaporated milk and condensed milk were popular options that were added to coffee. 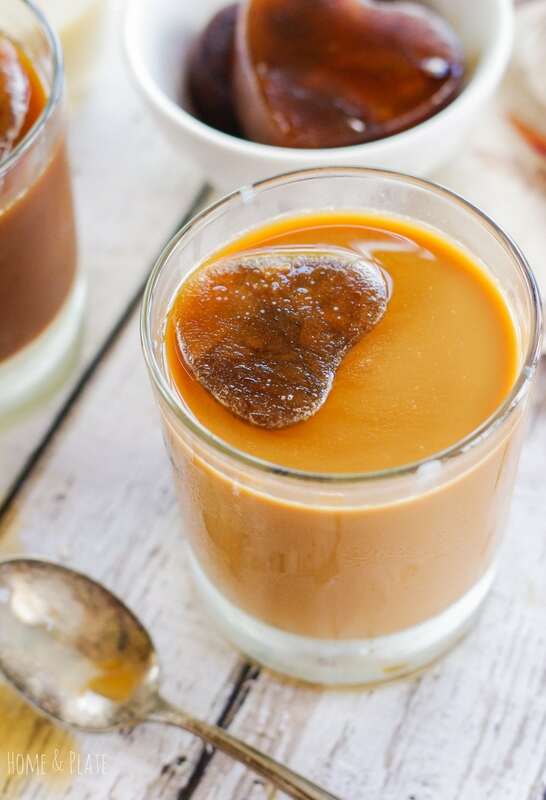 Depending on whether you want your iced coffee to taste more like coffee or dessert, you’ll need to adjust how much condensed sweetened milk you add to your cold brew. Condensed sweetened milk is thick and super sweet. I like to add more condensed milk to my iced coffee than my husband. He prefers to add a tablespoon or two then milk for an extra creamy drink that’s less sweet. 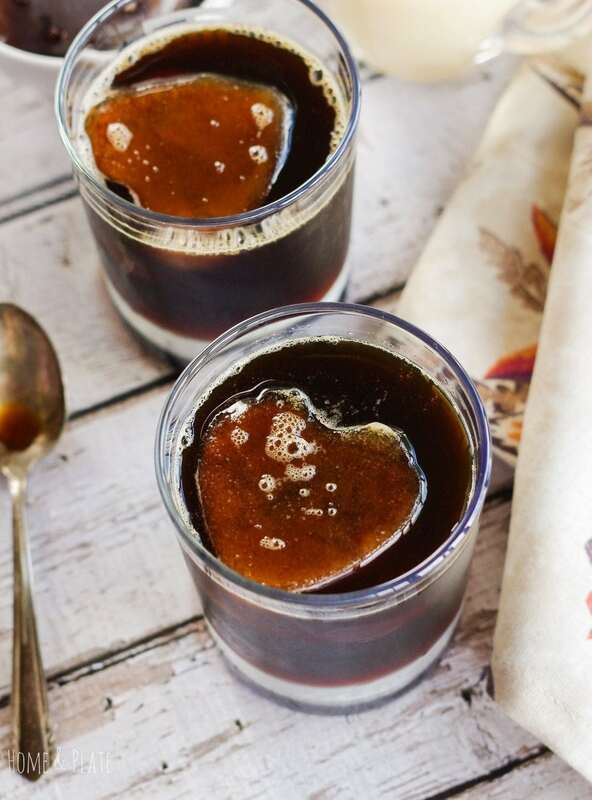 I like to brew twice as much coffee as needed and create coffee ice cubes for this beverage. That way when the cubes melt they don’t dilute the drink. I think this is a genius idea yet it takes a little bit of forethought because you need a few hours for the cubes to freeze before making your drink. I plan ahead and make a double batch of coffee in the morning. I refrigerate what we don’t drink hot. If you like spicy food, this Thai iced coffee is a perfect companion drink. Are you a Starbucks fan? 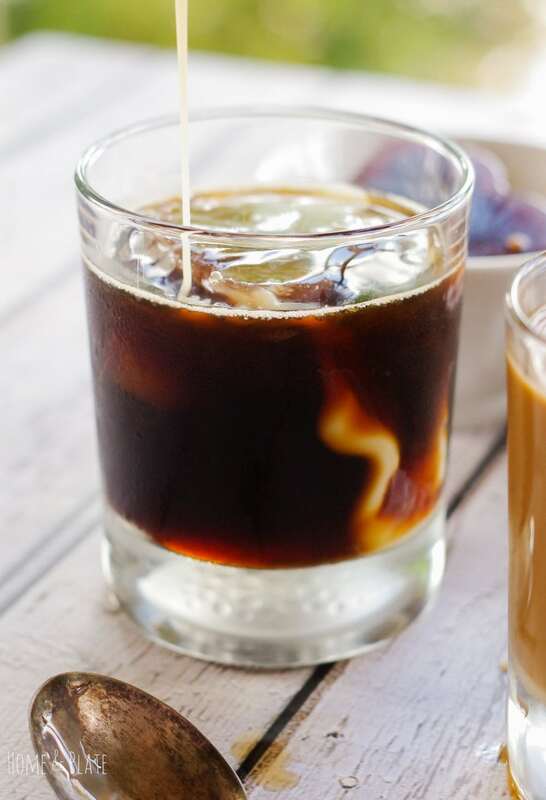 Save yourself a few dollars and learn how to make this easy Thai iced coffee at home. All you need is 4 ingredients! Brew the coffee adding 1 teaspoon of cardamom to the coffee grounds. Pour half the amount into an ice cube tray. Freeze the tray for a few hours. Refrigerate the remaining 2 cups of coffee. 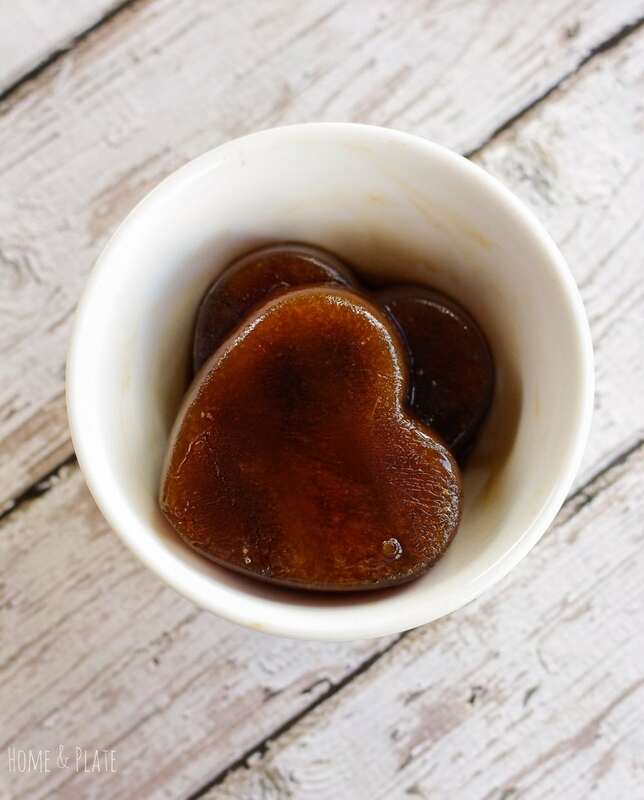 Fill two glasses with the coffee ice cubes. 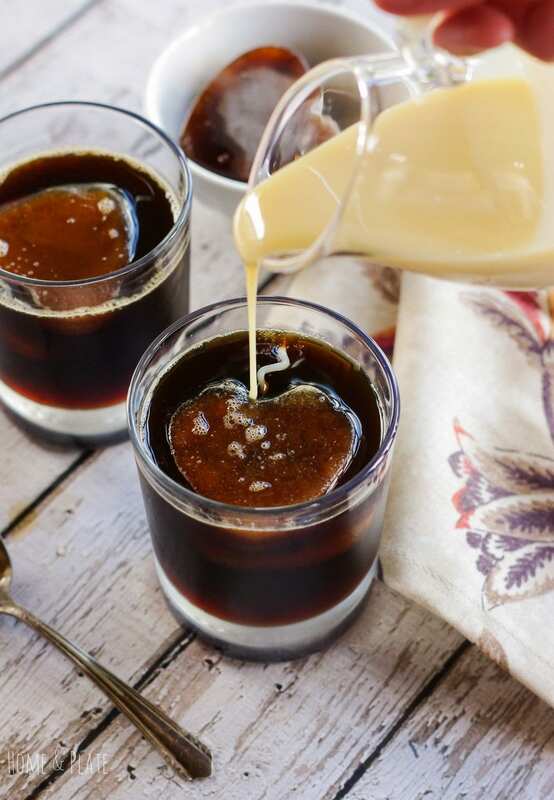 Pour in the cold coffee and add the sweetened condensed milk. Add optional milk if you like it extra creamy and less sweet. 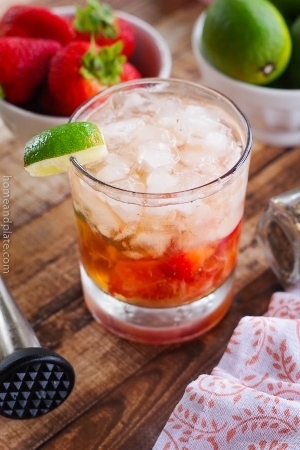 I love the idea of the ice cubes and the sweetened condensed milk! OMG,…. I love that stuff! (I know, Im an adult, I should NOT get that excited about sugar, but its so delicious!) Can wait to try this! Great switch up! Love the hear cubes, too. Love the cardamom in there, and your photos are gorgeous! 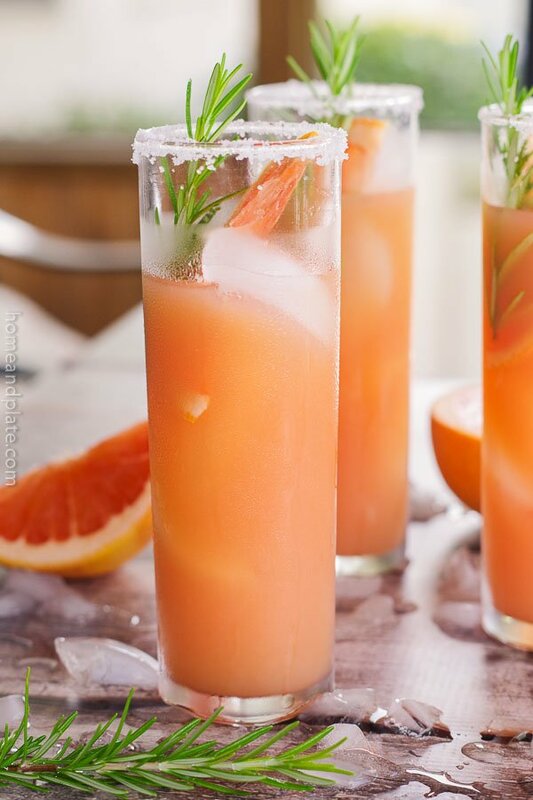 These looks so delicious, and so easy too! I can’t wait to give this one a whirl! i’ve tried Thai iced milk greentea but i haven’t tried Thai iced coffee. seems good, huh. can’t wait to give it a try. today is hot a little bit.